Speaking of Research has worked hard at collating the animal research statements of hundreds of institutions – that list has now reached 300 institutions spanning eleven countries. We still need your help to complete list – please check that your institution is on there. 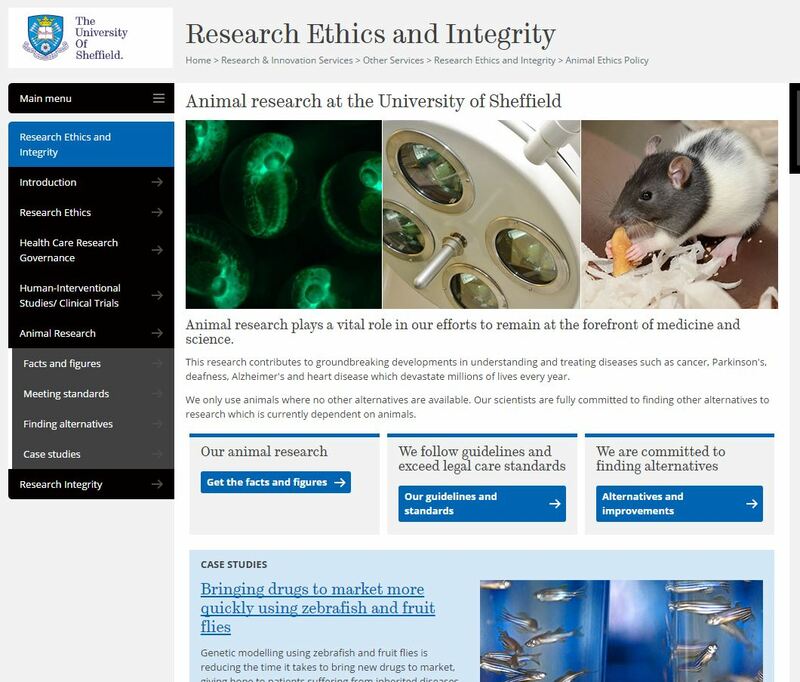 We are looking for a web page which clearly states that the institution conducts animal studies (and preferably explains why this is important). Submit your institution through our web form. 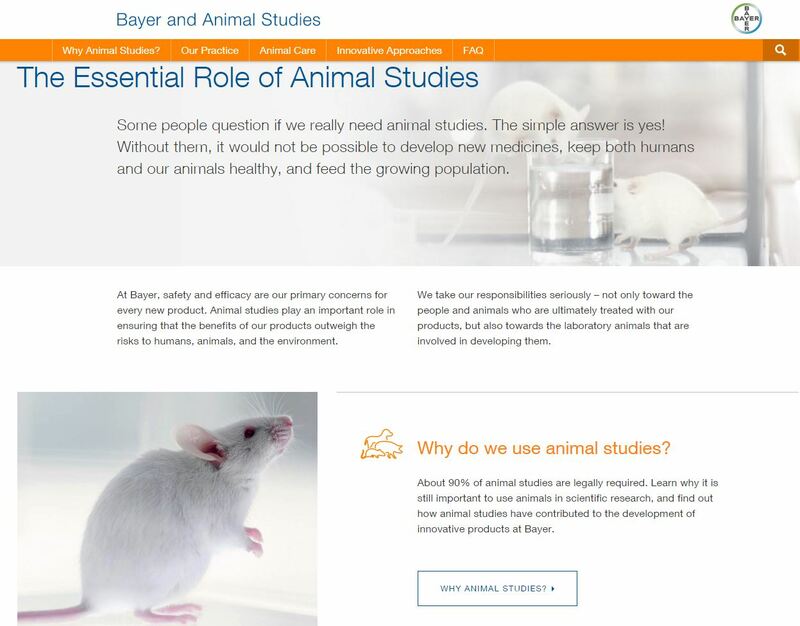 The excellent animal research pages of the pharmaceutical, Bayer. We urge institutions to ensure they have an update to date statement which includes a strong explanation of how and why they conduct animal research, as well as the steps they take to maintain and improve animal welfare. Such information can be bolstered by case studies, statistics, images and videos. So far, only 23 (of 300) institutions have achieved full marks when we’ve rated the information available. See the full list at the bottom. One thing that becomes apparent is that those institutions scoring highly have created a visible, and easily accessible, section of their website – usually with an easy-to-find URL such as (for UK institutions “.edu” is replaced with “.ac.uk”). URL’s like these not only allow the link to be found (usually through a couple of clicks) easily from the homepage, but they also help when Googling for such information. 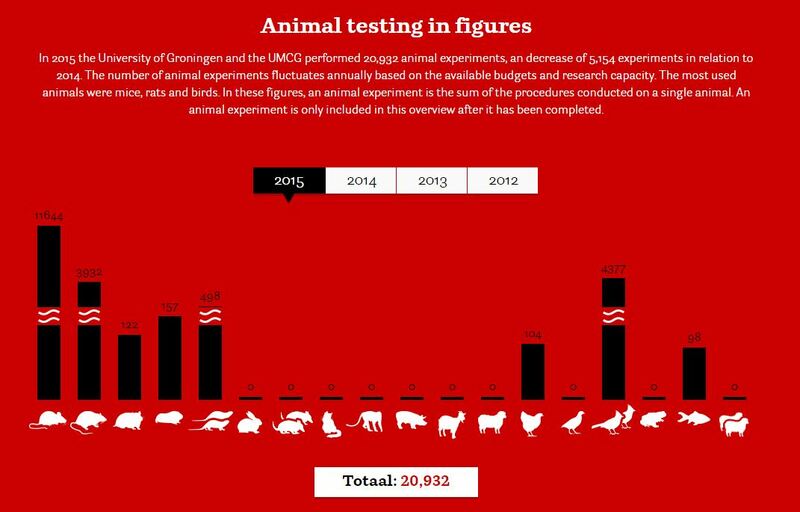 Institutions try googling “institution animal research” and see what comes up – if your institution does not provide much information, will animal rights groups fill the vacuum? Speaking of Research do not believe there is any excuse for open communication about animal research online. The UK has been leading the way here (over half of the statements receiving full marks are from the UK), in part due to the Concordat on Openness – which most animal research institutions have signed up to – demanding such a statement to be drawn up. Speaking of Research are willing to work with any institution that wants to improve its web content. We are happy to make recommendations and review drafts (for free). Posted on March 16, 2017 March 24, 2017 by EditorPosted in News, Outreach NewsTagged concordat, openness, statements, websites.